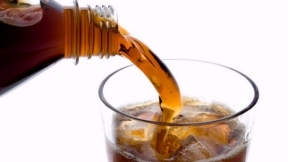 The Alliance for a Healthier Generation, founded by the American Heart Association and Clinton Foundation, has worked with representatives from American Beverage Association, The Coca-Cola Company, Dr Pepper Snapple Group and PepsiCo to announce a new landmark agreement to decrease beverage calories in the American diet. President Bill Clinton, founder of the Bill, Hillary & Chelsea Clinton Foundation, Susan Neely, President and CEO of the American Beverage Association, and Dr. Howell Wechsler, CEO of the Alliance for a Healthier Generation, announced the Clinton Global Initiative (CGI) Commitment at the 2014 CGI Annual Meeting in New York City, this week. They were joined on stage by Wendy Clark, President, Sparkling Brands & Strategic Marketing, Coca-Cola North America, The Coca-Cola Company; Rodger L. Collins, President, Packaged Beverages, Dr Pepper Snapple Group; and Albert P. Carey, CEO, PepsiCo Americas Beverages, PepsiCo. The beverage companies will leverage their marketing, innovation and distribution strength to increase and sustain consumer interest in and access to beverage options to help consumers reduce calories consumed. 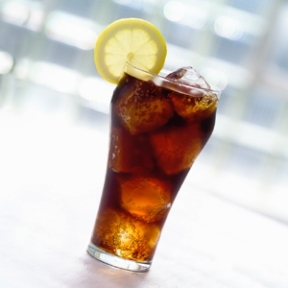 Such beverage options include smaller portion sizes, water, and other no- or lower-calorie beverages. Through these efforts, water and other lower-calorie beverages are expected to grow significantly. Each beverage company will provide calorie counts, and promote calorie awareness on all beverage company-controlled point-of-sale equipment nationwide, including more than 3 million vending machines, self-serve fountain dispensers, and retail coolers in convenience stores, restaurants and other locations. The beverage companies will retain an independent, third-party evaluator, in conjunction with the Alliance for a Healthier Generation, to track progress and interim benchmarks toward their commitments. The beverage industry and the Alliance will work jointly to define the reporting schedule for all aspects of this agreement.